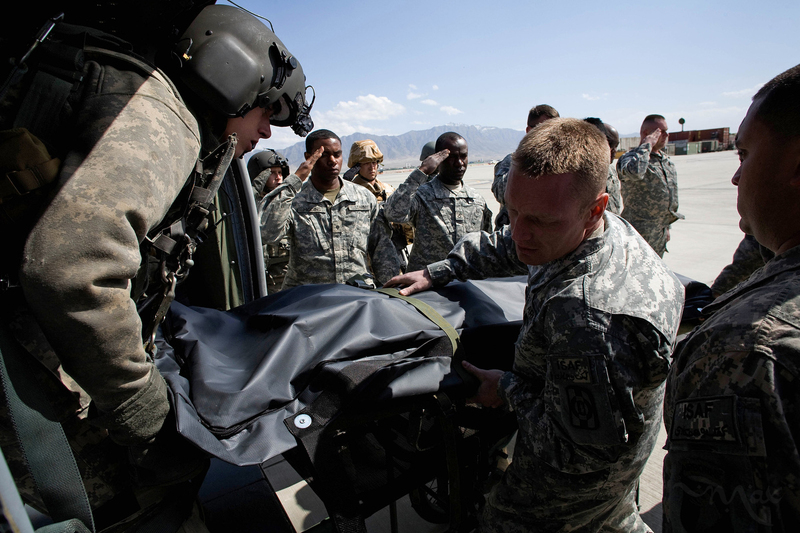 The body of Captain Petre Tiberius is unloaded from a helicopter by fellow Romanian soldiers and American medical personnel at Bagram Air Field in Afghanistan on April 3, 2009. The defense ministry in Bucharest, Romania announced Captain Petre Tiberius was killed in crossfire while leading a mission on Friday to support ISAF forces who had come under attack. Tiberius was transported by helicopter to a forward surgical hospital but died in transit. Romania has lost 10 soldiers in Afghanistan.